Exactly 150 years ago, on February 16, 1863, Boston, Mass. residents opened their newspapers to find an unprecedented advertisement in the daily newspaper. It called for “Good men of African descent” to enlist in the 54th Regiment of the Union Army, the first official effort to recruit Black people into the military as soldiers in the conflict against slavery. Up until this point, escaped slaves and free Black people had only been put to work as laborers in Union camps, typically at sub-standard wages, based on the argument that they would not make competent fighters. Now, Black men, although in segregated units, were given uniforms, armed and sent into battle. Spurred on by the Emancipation Proclamation, signed by President Lincoln the previous month, freed and self-liberated Black men were lining up outside Army recruitment offices. Abolitionists like Frederick Douglass and Wendell Phillips helped publicize the recruitment drive. Within two months, the Massachusetts 54th Regiment had enlisted 1,000 men. In July 1863, the 54th led a courageous assault on Fort Wagner, in the Confederate heartland of Charleston, South Carolina, giving a smashing refutation to the racist arguments against Black enlistment. 272 soldiers died in the battle. By the end of the war, a total of 167 such units were raised, arming nearly 200,000 men of African descent. One in every three Black soldiers perished in the next two years of war, until the Confederacy, and the slave system on which it was built, was finally defeated. This chapter of Black enlistment in the war was not a utopian tale of Black and white soldiers being treated equally, of harmonious unity and a benevolent northern government. Far from it. But it marked a decisive turning point in the Black freedom movement, which transformed the Civil War and all of society for decades to come. It was, despite all its limitations and unevenness, a revolution. After years of lobbying, petitioning and rallying against slavery, abolitionists in the late 1850s were at a point of despair. The slave power had grown in scale and, it appeared, in political power. With the onset of the Civil War, however, they immediately understood its potentially radical implications. They called on Lincoln to convert the war into a crusade against slavery, not just to reconcile the country. Lincoln hardly made them happy. He responded to his abolitionist critics that a more measured approach to slavery would retain the loyalty of the Border States (slave states that stayed in the Union: Missouri, Kentucky, Maryland, and Delaware), convince some southerners to lay down their arms and affirm to northerners that the war was fundamentally about the unity of the Republic. As CEO of the white bourgeois establishment, Lincoln had also to deal with a considerable pro-southern sentiment among banks and businesses in the north that had deep interests in southern slavery. Lincoln’s hesitations were not about to stop the slaves, however, from recognizing the potential of the war. In practice, they declared themselves free and seized their own humanity by force. In some cases, this took the form of armed action, with slaves avenging the decades of brutality brought upon them and their children by masters and overseers. More often, it took the form of escape and dangerous late-night treks towards the lines of the Union army. They came into Union territory by the thousands, offering to aid the cause of freedom, and forcing the government to come up with a response. Would the Union army keep the runaways? Could they legally do so? Would they provide food and services? In some cases, hostile white troops and officers mistreated the runaways or even returned them to their masters. Just as often, they participated in the liberation of slaves far in advance of Lincoln’s policies. The general thrust of historical events was, on account of the slaves’ daring self-activity, towards freedom. Their actions weakened the Confederates, undermined the stereotypes of Black docility and showed the way toward a new federal policy. It also bolstered the agitation of radical abolitionists, who put more and more pressure on Lincoln and Congress to act more aggressively. President Lincoln and most Republicans had long argued that they could not constitutionally abolish slavery at a federal level, either through executive order or legislation. Yet Lincoln had few qualms about going beyond the Constitution when he suspended habeas corpus and arrested half of Maryland’s pro-Confederacy legislature to prevent it from seceding. When it came to challenging slavery, by contrast, he stayed close to the Constitution, and relied only on his war powers as commander-in-chief. Despite his oft-expressed personal wish that ‘all men be free,’ Abraham Lincoln was far from an abolitionist. 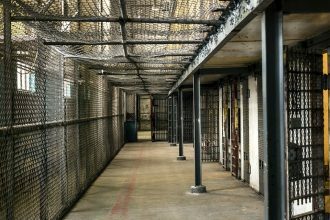 While he called slavery repugnant, he had showed little desire to seriously challenge existing laws protecting slavery. He repeatedly stated that he would not challenge white supremacy and affirmed the “conventional wisdom” with respect to Black inferiority. Radical anti-slavery Republicans condemned him for speaking one day with deep conviction about his philosophical opposition to slavery and the next for striking deals with the Slave Power. Only on the question of restricting the further expansion of slavery into the western territories did Lincoln ever take a firm stand. Operating within this bourgeois legal framework, Lincoln’s army could not legally free escaped slaves who belonged to masters loyal to the Union. Likewise, Lincoln would rather compensate slave-owners in the border states than advocate for reparations for the freed slaves. Only as the facts on the ground changed, when the war shifted and as slaves took decisive action, was Lincoln’s hand freed to put anti-slavery principles into practice. The bold new experiment of Black enlistment had clear motivations. At the beginning of 1863, the Civil War was entering its third year. Southern rebel armies under Robert E. Lee’s direction were enjoying a string of battlefield successes. The urgency of the military conflict convinced them to take the war in a radical new direction. Treading softly on slavery had not weakened the Confederacy, while a decisive blow against the institution could fatally weaken it. The Union war policy in general had already been to welcome and put to work runaway slaves—including using them for vital information and as scouts—but with the Emancipation Proclamation on January 1, 1863 the anti-slavery consequences of the war were expanded into full-blown federal policy. The Emancipation Proclamation only called for the freedom of slaves in states still in rebellion. It did not free slaves in the border states of Missouri, Kentucky, Maryland, Delaware and the western counties of Virginia (soon to be West Virginia), nor did it free slaves in any Confederate territories already in Union control, such as New Orleans, southern Louisiana, and the entire state of Tennessee. The Proclamation was a military document effective in wartime only and potentially in peacetime could have been reversed—although in practice, this would have been nearly impossible to achieve. Nor could the Proclamation be immediately enforced, as it only applied to areas where the Confederacy ruled, and thus, Union law was not recognized. In the immediate sense, few slaves were freed on account of the Proclamation. But the Proclamation was extremely significant because it converted the army into a de-facto liberation army, and this was represented most powerfully by the enlistment of Black soldiers. It meant that every Union advance into Confederate territory meant the legal end of slavery. In Texas, for instance, June 18, 1865 (“Juneteenth”) is recognized as the real emancipation day since that is when the Union Army arrived to enforce the Proclamation. While the film is more or less factually accurate—and does allude to Lincoln’s own ambivalence on the question of racial equality—it chooses to tell a story of emancipation that remains fixed on the white decision-makers in Washington. In addition, there have been few films about the tragedy of post-Reconstruction, in which a potentially revolutionary opening after the Civil War was closed and the newly freed slaves were betrayed by the same northern bourgeois establishment that Spielberg glorifies. Nor were the abolitionists simply idealists, as Spielberg’s film suggests. Their agitation, anti-slavery political proposals and military actions (in the case of John Brown) helped turn northern public opinion against the Slave Power and polarize the country. Karl Marx once noted that people “make their own history but they do not make it just as they please … under circumstances chosen by themselves.” Thus, while the Emancipation Proclamation and the Thirteenth Amendment were written and announced by powerful white men in the literal sense, the circumstances that produced these policies were the result of millions of individual and collective actions. The brutally oppressed Black women, children and men, who demonstrated the courage and power to free themselves by any means necessary were the true heroes of the hour. 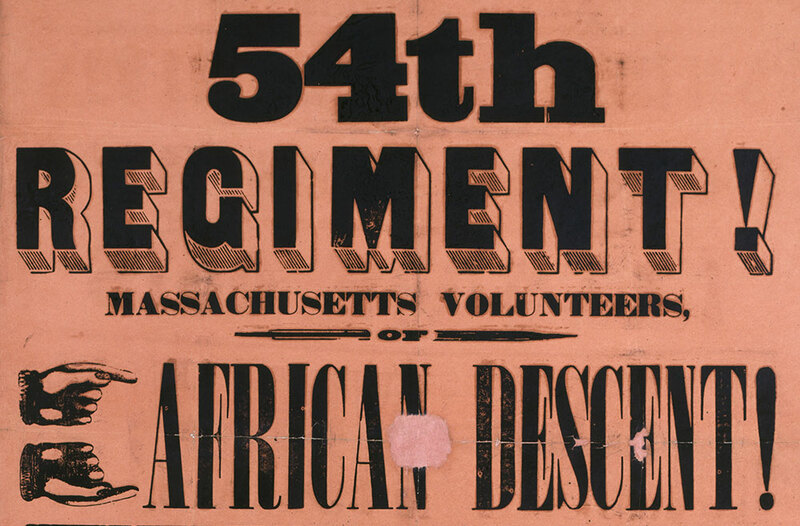 The Black enlistees of the Massachusetts 54th Regiment, their sacrifices long neglected, embodied the victory-or-death struggle that the Civil War became. The masses of enslaved people and the abolitionists are not the heroes credited with emancipation in the textbooks, which give a narrative of liberation in which it is granted from up high. The real story of the Civil War—of oppressed peoples in America freeing themselves and forcing revolutionary change—might, after all, give today’s oppressed and wage slaves dangerous ideas.